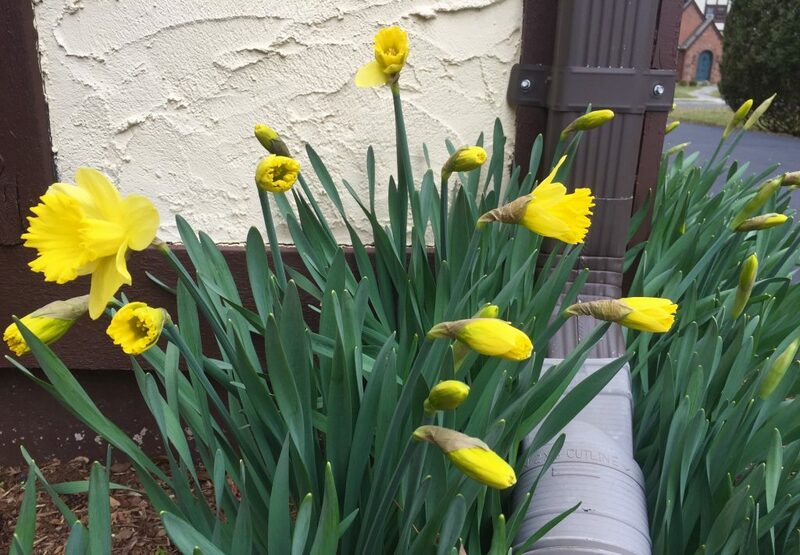 Some of my daffodils are in bloom! I was very excited to take this photo on Sunday morning. And even though Sunday afternoon turned windy and rainy, and Monday is supposed to be chilly, it’s now April and spring is definitely in the air! If you see me walking around a bit slowly on Monday, it’s not just because I am sad that Duke lost in the Elite 8 (which I am, very sad) but it’s because I am still recovering from Knockout Fitness‘ “Knockout Cancer” event on Saturday! 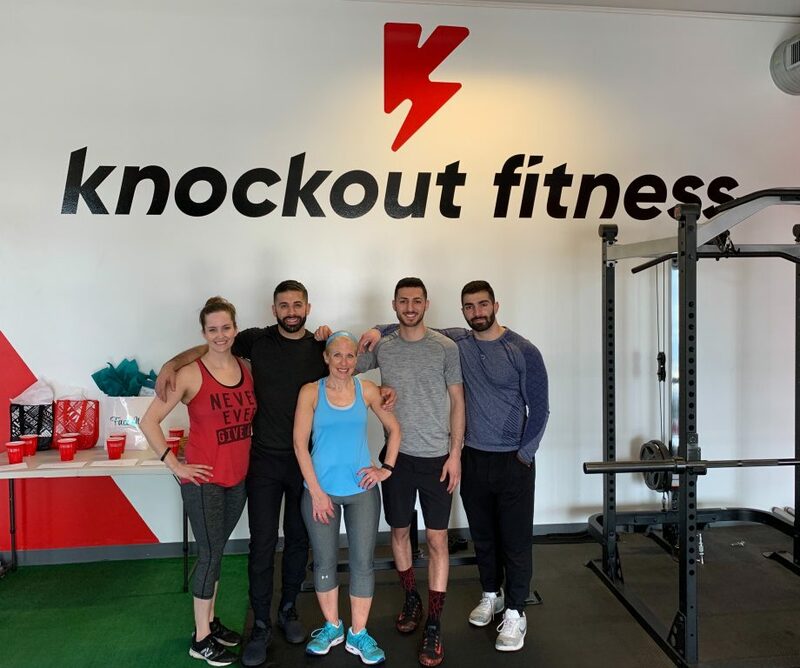 With the Knockout Fitness team (from left): Kate Priessler, Antony Atallah, Ronni Newton, Matt Dahdah, John Atallah. The event was great, and raised more than $1,500 for the American Cancer Society. Antony Allah, owner of the family-owned and operated boutique fitness facility at 20 Jefferson Ave., said that he chose to support the American Cancer Society during this fundraiser in honor of a family member, close friends, and clients who have “knocked out cancer,” and to help others still fighting their battles with the disease. Those who participated ended up doing four 20-minute fitness classes in a row – Kickboxing 101, Total Body Fit. Hands and Mitts, and Spartan Fit. The classes were great, but of course I pushed myself to not wimp out on any of the activities, including boxing which I haven’t done in probably a decade. And I probably did about 100 push-ups, countless squats, and every activity at the bootcamp stations. I was pretty sore on Sunday (a run actually did help) and I’m predicting extreme soreness on day two. Ted and I went to West Hartford’s Cookin’ on Saturday night. 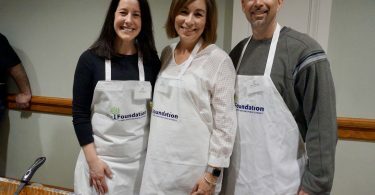 Kudos to all of the celebrity chefs for donating their time and culinary skills to help the Foundation for West Hartford Public Schools. It was a great event, and I was honored to once again assist John Lyons on stage with the live auction and paddle raise. Click here to read the story and see the photos. There’s a saying that “when one door closes another one opens,” and that’s happening right now in multiple locations in West Hartford. I was set to report on the sad news of Hot Oven Pizza closing its doors Monday at 264 Park Rd. after not quite two years (the owners said their “lives are taking us in a different direction”). News of a closing would have been at the end of this column – but then on Friday night I walked by the space after leaving Playhouse on Park (a fabulous and energetic stop/time dance theater performance) – and saw that the restaurant was already reopened under new ownership! I caught up with Jose Agustin-Lopez, who said that he opened Juliana’s Pizzeria on Friday, just days after Hot Oven closed. Agustin-Lopez, who said he has extensive restaurant experience in other nearby towns, said that he and many of his family members are longtime West Hartford residents, and when he learned that the business was for sale he jumped at the chance to own a restaurant in town. 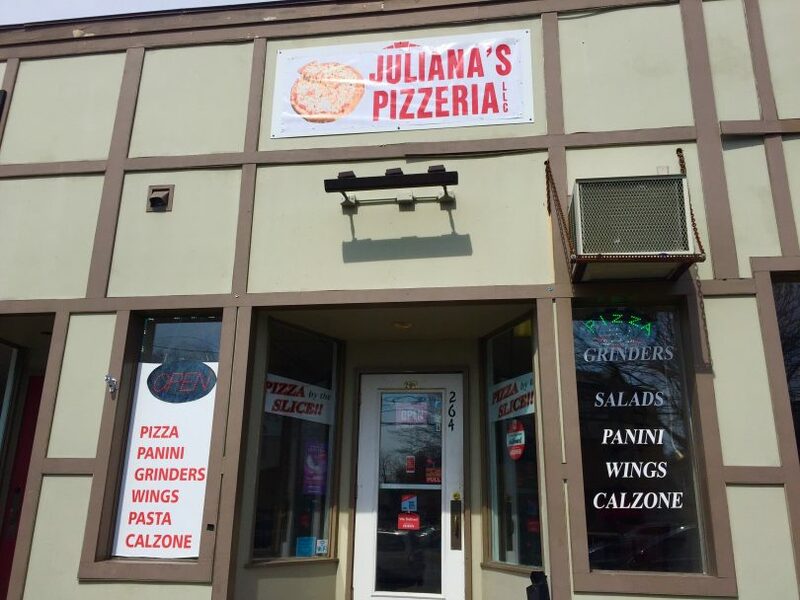 Juliana’s Pizzeria serves an extensive variety of New York-style and Sicilian crust pizza, and has gluten free options available as well. Agustin-Lopez said his favorite pizzas are the pulled pork mac & cheese, mashed potato, and taco pizza. In addition to pizza, the restaurant serves numerous appetizers, salads, pastas, Italian dinners, burgers, sandwiches, and paninis, with take-out as well as dine-in service available. Click here for the full menu. Juliana’s Pizzeria is open Sunday through Thursday from 11 a.m.-9 p.m., and Friday and Saturday from 11 a.m.-10 p.m. Follow on Facebook for more information. When NoRA Cupcake Co. opened as a pop-up this holiday season at 44 Isham Rd. in Blue Back Square, it really was just a short-term thing. But that space (which prior to NoRA was Goldberg’s Gourmet), is not remaining empty and will soon be home to Trollbeads! Blue Back Square Marketing Director Amy Cholowa confirmed that Trollbeads has signed a lease, buildout is underway, and the store should open by late spring. 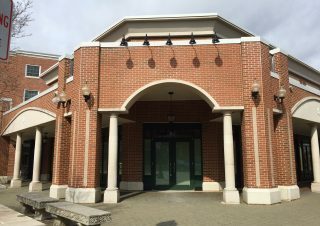 According to the Trollbeads websites, this will be the only dedicated Trollbeads store in the state (there are authorized retailers in Marlborough and Danielson), and is actually the relocation of the store which has now closed at Westfarms. For those who are unfamiliar with Trollbeads, according to its website, the business started in Denmark in 1976 “when Soren ‘Silversmith’ Nielsen created the first Trollbead, Faces.” The beads, which have holes in the center and are now available in hundreds (at least) of styles, are placed on necklaces and bracelets and most wear multiple beads at a time, adding pieces to mark special occasions. “Every story has a bead,” the company website states. The business has expanded from bracelets and necklaces to include earnings, rings, hair accessories, and more. It’s back to Park Road for another door opening and closing. 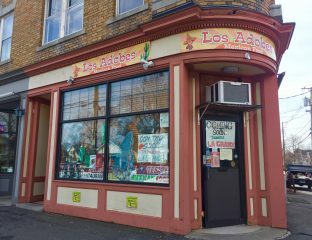 Los Adobes closed its doors at 169 Park Rd. in March, but a new tenant is already lined up for that space. Taqueria La Grande, a Mexican restaurant which already operates a small location at 985 West Main St. in New Britain, is planning to open its second location in the former Los Adobes space sometime in May. I wasn’t able to reach the owner, but if the menu is anything like the New Britain location what’s posted on the Facebook page looks decision. Made with hand-crafted tortillas, items include tacos, burritos, quesadillas, tamales, flautas, and enchiladas. More details to come! Tuesday, April 2 is “Dine for a Cause to Promote Autism Awareness at MAX,” a fundraiser for Autism Speaks New England that will be taking place at all 11 Max locations including Max’s Oyster Bar, Max Burger, and Savoy in West Hartford. Guests on April 2 are asked to mention the fundraiser, and a portion of the bill will be donated to Autism Speaks New England. Additional donations will be accepted through Sunday, April 7. 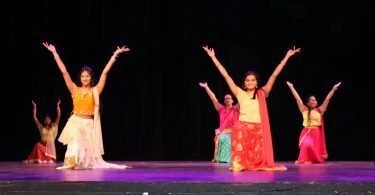 “This feel-good event goes beyond charitable giving, it’s personal. Bobby Venetianer, Max Restaurant Group Director of Community Outreach, has a child on the spectrum,” the news release states. “Nearly everyone knows someone who has been touched by autism, whether it’s a family member or a friend. We are proud to raise awareness and funds so individuals with autism, and their families, can achieve their best life,” Venetianer said. 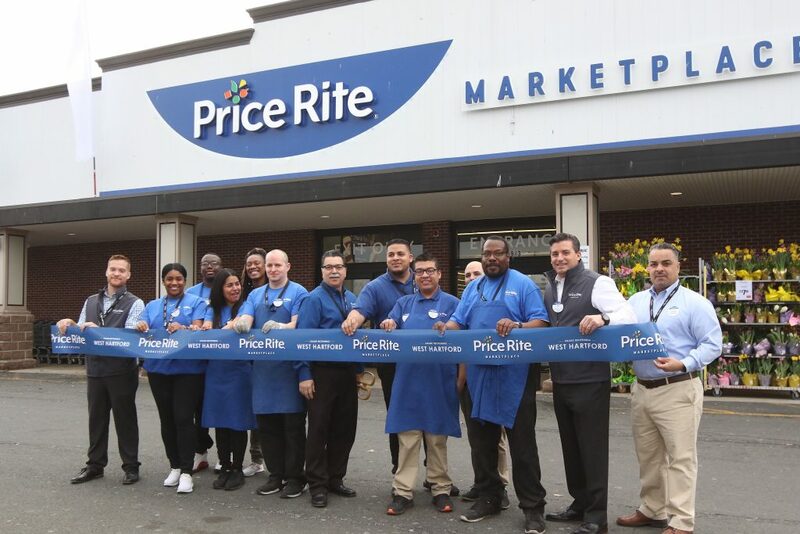 Price Rite (983 New Britain Ave.), is in the process of rebranding some of its stores, including the West Hartford location, and held a grand re-opening and ribbon cutting on Friday. 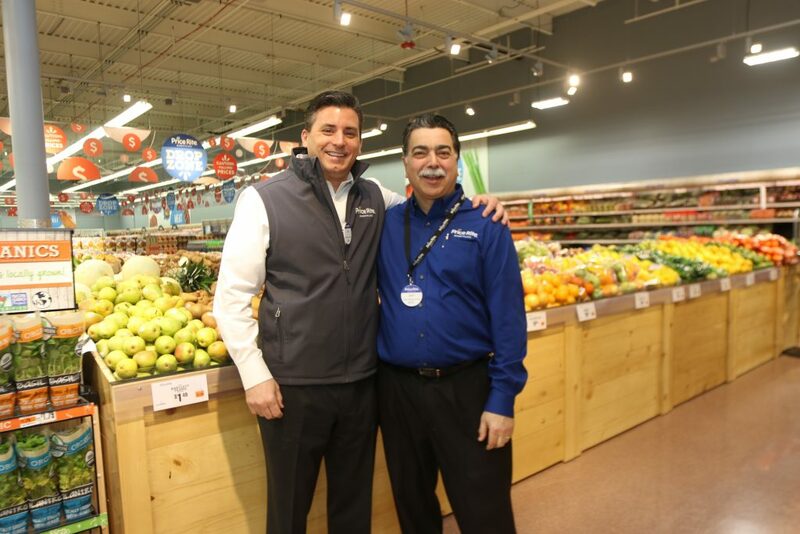 “We’re excited and appreciative that Price Rite chose to reinvest in the West Hartford store after 11 years in business. The store looks great, and the investment shows their commitment to their customers and our community,” Economic Development Specialist Kristen Gorski said. She said that the store clearly has a new focus on fresh produce and other fresh foods, with a design modeled after a farmers market. 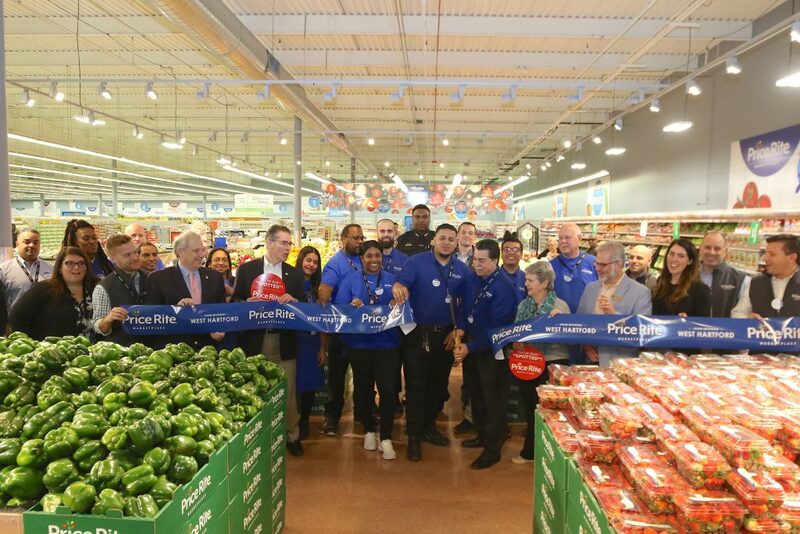 According to a news release from Price Rite, “As part of the ‘Fresh New Look!’ shoppers will find bright, revitalized store décor, including a market-style produce department with new LED lighting, vibrant color palettes and clear signage throughout the stores. The more open concept creates better sight lines for an easier and more convenient shopping experience. New self-service checkouts provide greater speed and convenience for shoppers on the go. ‘Fresh New Deals!’ are a customer highlight, and include the popular ‘Drop Zone,’ a unique in-store destination where customers can find extraordinary deals, special surprise buys and must-have products typically priced $5 or less. In addition to the ‘Drop Zone,’ Price Rite Marketplace has lowered everyday prices on hundreds of items with its ‘Amazing Value!’ offers across the store. Customers will discover great weekly deals on their favorite items with new easy-to-find ‘Spot on Savings!’ signs, easy-to-shop bright red “spots” popping up in every aisle. The new Price Rite Marketplace also offers many ‘Fresh New Finds!’ with a wider selection of Wholesome Pantry products, with free-from, organic, and gluten-free options; plus, a double-your-money-back guarantee on Price Rite Marketplace brand products. 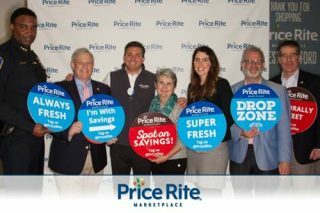 Shoppers will also find Price Rite Marketplace’s expansive and high-quality, yet affordable meats, with brands such as Certified Angus Beef, Perdue’s No Antibiotics Ever Chicken, Wholesome Pantry organic chicken, and Oasis Halal. Price Rite Marketplace is also committed to providing the freshest selection of produce and bakery items, including a new bakery department featuring the ‘The Sweet Spot’ dessert case and an enhanced produce department with a farmer’s market look and feel.” See additional photos below. From a message: “Andy Wotton Plumbing & Heating, a family owned plumbing company in West Hartford has merged with William B. Perleoni Plumbing of Farmington. The merger of the two companies is an exciting event for employees and clients. Andy Wotton Plumbing & Heating wishes William Perleoni and his wife Debbie well as they retire to Florida. Andy Wotton is forging a new company with enhanced experience and expertise. The merger will create a more comprehensive infrastructure with faster response times. It will also produce an expanded base of highly qualified plumbers in Hartford County and Farmington Valley.” The attention to relationships, fee structure, and phone numbers will not change, a company representative said. Call 860-833-8153 with any questions. ICYMI, the West Hartford Chamber of Commerce is accepting grant applications from nonprofits. Click here for details. The Children’s Museum is finalizing the choice for its new location. One option is in West Hartford, and the other is in Hartford. Click here for the complete story. West Hartford’s movie theater is in the midst of a renovation. Cinépolis Luxury Cinema will reopen this summer with fully-reclining leather seats, waiter service, and more. Click here to read the story. Finally, don’t miss this week’s Experience We-Ha podcast – feating KC Ward of Flora. Click here to listen. Does anyone have any information on. The closing of East West Grill on New Park Ave? The thai food was the best in town and the place was always busy! I read this article hoping for some info…. Hi, I believe there is a Trollbeads store in WestFarms Mall too? Thanks for the updates! You’re right – but the odd thing is that it isn’t on the Trollbeads website!! I just checked again. I’ve updated the information on Trollbeads in the article. There was a store at Westfarms but it has closed, and that store is actually relocating to Blue Back Square.